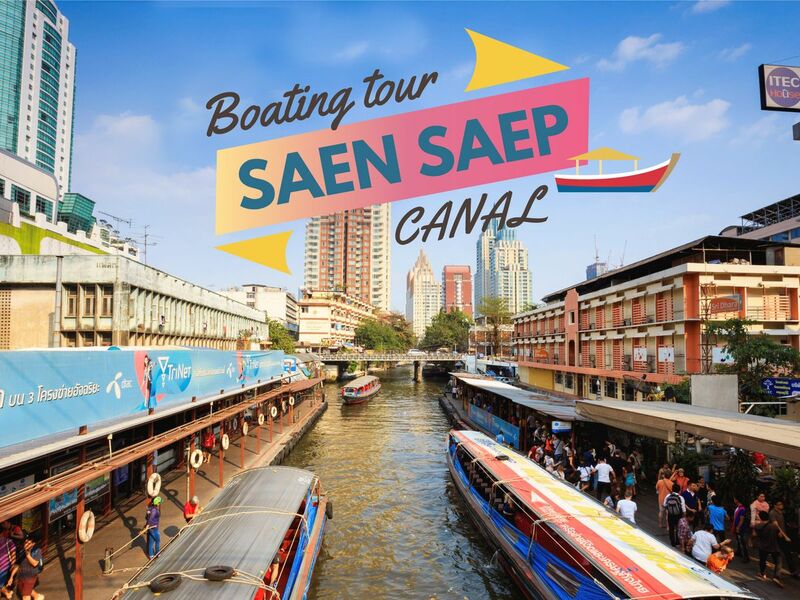 HomeBangkokKhlong Saen Saep Canal Boat Tour & Kwan Riam Floating Market FREE LOCAL FOOT MASSAGE PROMOTION JUST on MARCH- APRIL! Dear all travelers! This boating tour will be enable you to see the local way of commuting, starting from Kwan Riam Floating Market then head towards the inner city. Trust me, you have never seen anything like this before! Take the boat to Kwan Riam floating market (weekend only). There are many street foods all around. Have breakfast/take the photos/meet local & etc. I will also show you local community. If you book on weekday then I can take you to a similar place nearby. For example; vegetarian association of Thailand community with 100% pure organic food, juices ,local product & so on. Let's go to the Thai handmade, Thai Massage learning Centre, Big Thai Amulets Market inside a deparment store. Then we'll walk to Bazaar Market to shop. We can get foot massage here just 150 Baht per hour. Let's have lunch together at Food Center. There are plenty of choices and you'll be eating among the locals. There are lots of Thai style tattoo shop all around here. So, if you'd like, I can wait for you. Then, we walk through and take the boat to the next stop which takes about 30 mins. Pratunam Downtown city tour. Snacks time, light meal or shopping. Explore "Ban Bat" refers to " 200 years Community of Monk's Alms Bowl" and the visitors as handcraft souvenir. walk to Wat-Sraket and go up to The Golden Mountain on the top. Here, you can see the panorama view of Bangkok. Then, walk to Banbatr Area. They have real Thai handcraft product to have a look and enjoy Thai unique art and culture. Walk to Panfah pier and I'll take you back to your hotel, or we can go to meetup party and have dinner together. Because I think this trip will make you really excited & with my very good service will make you guys know about Bangkok history get to live and see the true Thai culture. The Saen Saep canal was built by the order of King Rama III during the conflict between Siam and Annam about Cambodia. Now it becomes one of the main means of transportation for the Bangkoker to commute each day avoiding the traffic! It's a mixture of adventure and relaxation; city exploration & massage! Well,I appreciate for your booking and really hope to service u soon with my pleasure. However, please wear sport clothes that day because it's gonna make you feel relax & good. Surely, I'm gonna pick you up at your hotel on time. I have done other Bangkok tours, but Sirikorn certainly stands over all. He is very efficient and delivers a very personalised and flexible tour. I told him of some things I would like to do as well and he incorporated them in nicely. Nothing seemed a bother. We remained at a very nice pace throughout the day, no rushing around..just perfect! Sirikorn has wonderful travel stories and hope's some day to visit New Zealand. Although our tour was only meant to be a certain amount of hours, Sirikorn did not bother once about the time. My time went hours over, but he wanted me to experience as much as I could in one day. I highly recommend Sirikorn to show anyone around Bangkok. I shall contact him when I return and organise a tour more further afield. Thank you Sirikorn! Sirikorn is a very friendly person who went out of his way to ensure good communication at all times with us before-during and even after the tour. He is very flexible and extremely helpful to allow us the experience in Bangkok that we wanted. He took us to places which we would never have gotten to see otherwise, and we thoroughly enjoyed his company. We recommend to anyone wishing to spend a day in Bangkok as a local does - to hire Sirikorn. Boat riding along the canal & food tours in a historic site.